We are a leading Exporter of calcium gluconate injection 100 mg, deferiprone capsule 500mg, sevelamer tablet 800mg, acetylcysteine injection 400mg, succimer capsules and aprotinin injection bp from Navi Mumbai, India. Deferiprone is a white to pinkish-white crystalline powder. It is sparingly soluble in deionized water and has a melting point range of 272°C - 278°C. 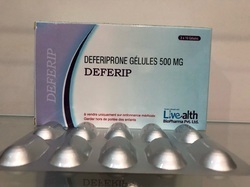 Deferip tablets are white to off-white, capsule-shaped tablets, and imprinted with “APO” score “500” on one side and plain on the other. The tablets can be broken in half along the score. 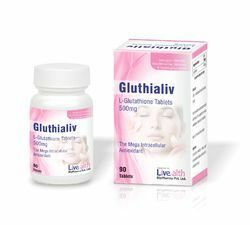 Each tablet contains 500 mg deferiprone and the following inactive ingredients: Tablet core – microcrystalline cellulose, magnesium stearate, colloidal silicon dioxide; Coating - hydroxypropyl methyl cellulose, polyethylene glycol, titanium dioxide. 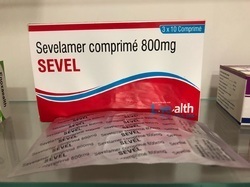 Sevelamer is used to lower high blood phosphorus (phosphate) levels in patients who are on dialysis due to severe kidney disease. Dialysis removes some phosphate from your blood, but it is difficult to remove enough to keep your phosphate levels balanced. Acetylcysteine injection is an intravenous antidote for the treatment of acetaminophen overdose. 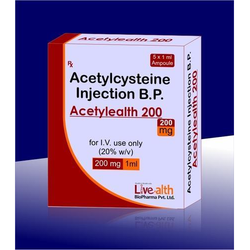 Acetylcysteine is the nonproprietary name for the N-acetyl derivative of the naturally occurring amino acid, L-cysteine (N-acetyl-L-cysteine). The compound is a white crystalline powder, which melts in the range of 104° to 110°C and has a very slight odor. The molecular formula of the compound is C5H9NO3S, and its molecular weight is 163.2. 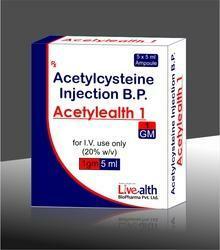 Acetadote is supplied as a sterile solution in vials containing 20% w/v (200 mg/mL) acetylcysteine. The pH of the solution ranges from 6.0 to 7.5. Acetadote contains the following inactive ingredients: sodium hydroxide (used for pH adjustment), and Sterile Water for Injection, USP. 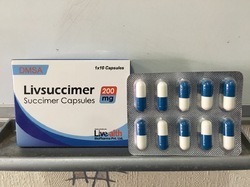 Succimer capsules is an orally active, heavy metal chelating agent. The chemical name for succimer is meso 2, 3-dimercaptosuccinic acid (DMSA). Its empirical formula is C4H6O4S2 and molecular weight is 182.2. 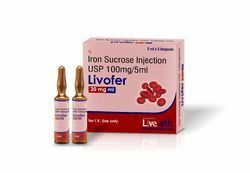 Livsuccimer is is indicated for the treatment of lead Posioning in pediatric patients with blood lead levels above 45 μg/dL. Livsuccimer is not indicated for prophylaxis of lead poisoning in a lead-containing environment; the use of medicine should always be accompanied by identification and removal of the source of the lead exposure. Packaging Details: 1 x 10 Capsules in a printed carton. Reducing blood loss and the need for blood transfusions in patients undergoing certain types of heart surgery. 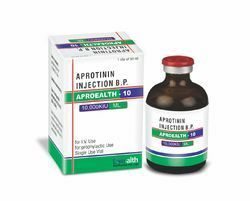 Aprotinin is a protease inhibitor. It works by reducing the inflammatory response associated with cardiopulmonary bypass surgery. 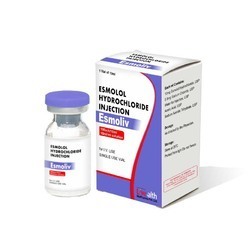 Esmolol Hydrochloride Injection is indicated for supraventricular tachycardia (except for pre-excitation syndromes) and for the rapid control of the ventricular rate in patients with atrial fibrillation or atrial flutter in perioperative, postoperative, or other circumstances where short-term control of the ventricular rate with a short-acting agent is desirable. 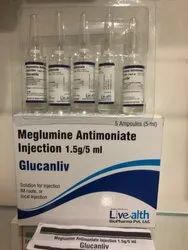 Meglumine Antimoniate is used for many diagnostic test in different concentrations such as 85% injection is used for adult angiocardiography and thoracic aortography and a 76% solution is used in excretion urography, paediatric angiocardiography and Meglumine Diatrizoate, Sodium and Sodium Meglumine is used for angiocardiography and thoracic aortography in different concentrations. Meglumine Iodoxamate is the methylglucamine salt of an ionic, water-soluble, dimeric, radiographic contrast medium; formerly used primarily for intravenous cholangiography. Vitamin K helps the blood to clot and prevents serious bleeding. In newborns, vitamin K injectionscan prevent a now rare, but potentially fatal, bleeding disorder called 'vitamin K deficiency bleeding' (VKDB), also known as 'haemorrhagic disease of the newborn' (HDN). Chronic bronchopulmonary disease (chronic emphysema, emphysema with bronchitis, chronic asthmatic bronchitis, tuberculosis, bronchiectasis, and primary amyloidosis of the lungs). When inhaled by mouth, acetylcysteine is used to help thin and loosen mucus in the airways due to certain lung diseases (such as emphysema). 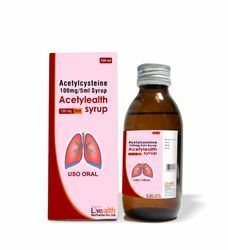 When inhaled by mouth, acetylcysteine is used to help thin and loosen mucus in the airways due to certain lung diseases (such as emphysema, bronchitis, cystic fibrosis,pneumonia). This effect helps you to clear the mucus from your lungs so that you can breathe easier. 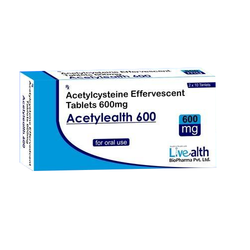 When taken by mouth, acetylcysteine is used to prevent liver damage fromacetaminophen overdose. 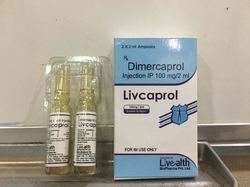 Dimercaprol Injection is indicated in adults and children for the treatment of acute poisoning by certain heavy metals, arsenic, mercury, gold, bismuth, antimony and possibly thallium. Although dimercaprol has not been successful in the treatment of lead poisoning when used alone, there is evidence that used in conjunction with sodium calcium edetate, it can be used successfully in the treatment of lead poisoning. Packaging Details: 2 x 2ml Ampoule in a printed carton. 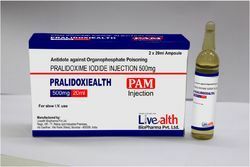 Pralidoxime Iodide Injection treatment of poisoning due to pesticides and chemicals (eg, nerve agents) of the organophosphate class which have anticholinesterase activity. In the control of overdosage by anticholinesterase drugs used in the treatment of myasthenia gravis. Prostaglandin E1 (PGE1) is a prostaglandin. This INJ has vasodilatory properties. 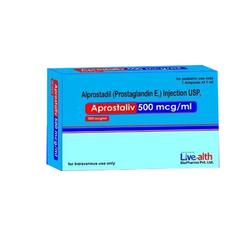 is another synthetic prostaglandin E1 analog used to prevent gastric ulcers when taken on a continuous basis, to treat missed miscarriage, to induce labor, and to induce abortion. 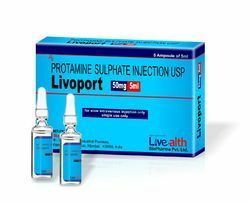 Protamin Sulfate Injection, USP is indicated in the treatment of heparin overdosage. Camel, Horses, Pigs and Sheep. 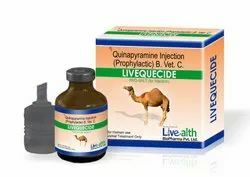 Sodium stiboglucoanate is a medicine used to treat leishmaniasis and is only available for administration by injection. It belongs to the class of drugs known as the pentavalent antimonials because they contain antimony in its oxidation state of 5. 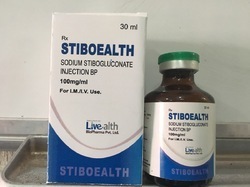 Sodium stiboglucoanate is marketed under the name Stiboealth Injection. 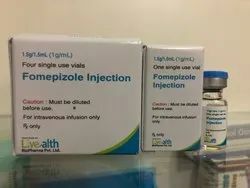 Fomepizole competitively inhibits alcohol dehydrogenase, an enzyme which catalyzes the metabolism of ethanol, ethylene glycol, and methanol to their toxic metabolites. Ethylene glycol is metabolized to glycoaldehyde, then oxidized to glycolate, glyoxylate, and oxalate. Glycolate and oxalate are responsible for metabolic acidosis and renal damage. Methanol is metabolized to formaldehyde, then oxidized to formic acid. Formic acid is responsible for metabolic acidosis and visual disturbances. 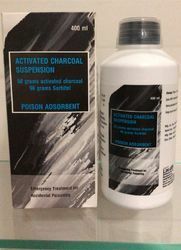 The activated charcoal A very high activity medicinal charcoal suspension specifically developed to be taken internally for the treatment of poisoning, drug overdose, and food poisoning associated with severe diarrhea and vomiting. It can be given as a drink or through a tube that has been placed through the mouth and into the stomach. Activated charcoal is also available in tablet or capsule forms to treat gas. 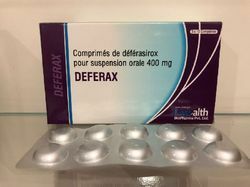 Deferasirox binds to iron and removes it from the blood stream. Deferasirox is used to treat iron overload caused by blood transfusions in adults and children at least 2 years old. Deferasirox is also used to treat chronic iron overload syndrome caused by a genetic blood disorder in adults and children who are at least 10 years old. Deferasirox may also be used for purposes not listed in this medication guide. 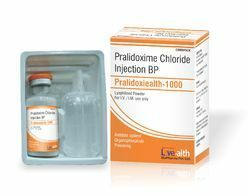 Each vial contains 1000 mg of sterile pralidoxime chloride, and sodium hydroxide to adjust pH, to be reconstituted with 20 mL of Sterile Water for Injection, USP. The pH of the reconstituted solution is 3.5 to 4.5. 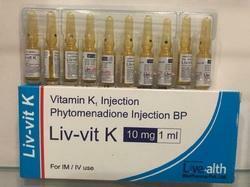 Intramuscular or subcutaneous injection may be used when intravenous injection is not feasible. Acetylcysteine injection is an intravenous antidote for the treatment of acetaminophen overdose. 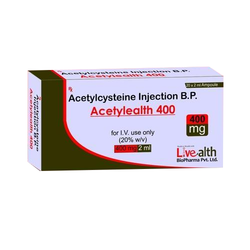 Acetylcysteine is the nonproprietary name for the N-acetyl derivative of the naturally occurring amino acid, L-cysteine (N-acetyl-L-cysteine). The compound is a white crystalline powder, which melts in the range of 104° to 110°C and has a very slight odor. The molecular formula of the compound is C5H9NO3S, and its molecular weight is 163.2. Packaging Details: 20ml Injection in a colourless vial in a printed carton. As an antidote for the "rapid type of mushroom poisoning due to the presence of the alkaloid muscarine, in certain species of fungus such as Amanita muscaria. Atropine Sulfate Injection, USP is a sterile, nonpyrogenic isotonic solution ofatropine sulfate monohydrate in water for injection with sodium chloride sufficient to render the solution isotonic. 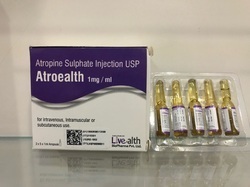 ... Atropine Sulfate Injection is a parenteral anticholinergic agent and muscarinic antagonist. Packaging Details: 5 Ampoule of 1 ml In a printed carton. 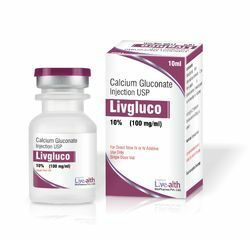 This medication is used to prevent or treat low blood calcium levels in people who do not get enough calcium from their diets. 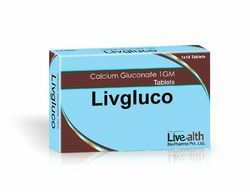 It may be used to treat conditions caused by low calcium levels such as bone loss (osteoporosis), weak bones (osteomalacia/rickets), decreased activity of the parathyroid gland (hypoparathyroidism), and a certain muscle disease (latent tetany). It may also be used in certain patients to make sure they are getting enough calcium (e.g., women who are pregnant, nursing, or postmenopausal, people taking certain medications such as phenytoin, phenobarbital, or prednisone). Calcium plays a very important role in the body. It is necessary for normal functioning of nerves, cells, muscle, and bone. If there is not enough calcium in the blood, then the body will take calcium from bones, thereby weakening bones. Having the right amount of calcium is important for building and keeping strong bones. 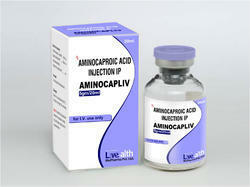 Dimercaprol Injection USP is indicated in the treatment of arsenic, gold and mercury poisoning. 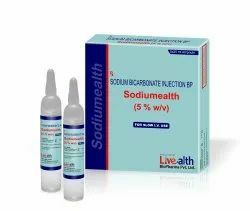 It is indicated in acute lead poisoning when used concomitantly with Edetate Calcium Disodium Injection USP. Dimercaprol Injection USP is effective for use in acute poisoning by mercury salts if therapy is begun within one or two hours following ingestion. It is not very effective for chronic mercury poisoning. Dimercaprol Injection USP is of questionable value in poisoning caused by other heavy metals such as antimony and bismuth. It should not be used in iron, cadmium, or selenium poisoning because the resulting dimercaprol-metal complexes are more toxic than the metal alone, especially to the kidney. 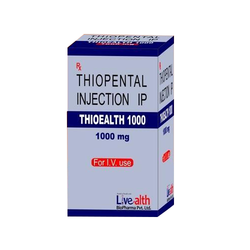 Thiopental sodium is used for the induction of general anaesthesia and is also used as an adjunct to provide hypnosis during balanced anaesthesia with other anaesthetic agents, including analgesics and muscle relaxants. Thiopental sodium is also used as an adjunct for control of convulsive disorders of various aetiology, including those caused by local anaesthetics. Thiopental sodium has now been used to reduce the intracranial pressure in patients with increased intracranial pressure, if controlled ventilation is provided. 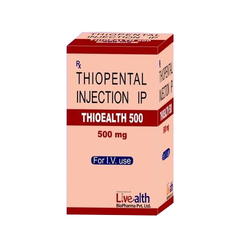 Thiopental sodium is used for the induction of general anesthesia and is also used as an adjunct to provide hypnosis during balanced anesthesia with other anesthetic agents, including analgesics and muscle relaxants. Thiopental sodium is also used as an adjunct for control of convulsive disorders of various aetiology, including those caused by local anesthetics.